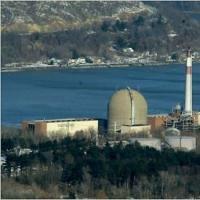 In this jaw-dropping interview, Susan Hito-Shapiro of the Radiation and Public Health Project tells us of the conditions at the Indian Point Nuclear Power Plant: 1,500 tons of radioactive waste, stored on-site just 22 miles from midtown; the most nuclear safety violations in the country; steady leaks into the Hudson, and the arrest of a supervisor for falsifying critical safety records and lying to federal regulators last year. Right now, as NYC weans itself down to getting only 5% of its energy from the plant, the fate of the Indian Point nuclear power plant hinges on whether the government grants them a 20 year license renewal. As the government holds public hearings to decide on whether to grant this renewal, environmental groups like Riverkeeper see this moment as an amazing opportunity to shut down the plant. Hosted by David Ellenbogen.